With music and lyrics around Lovecraftian horrors, melancholy, mysticism and occultism, Plague Upon The Living offer a raw and unadorned Death/Doom-Funeral Doom vibe. 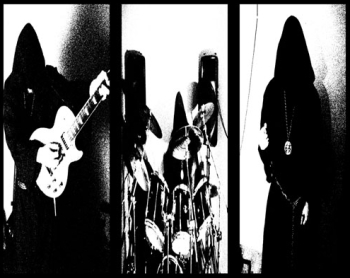 The band history elaborates that they were "not similar to other "funeral" doom bands. We never wanted to be part of that scene, we just played soul-tearing and slow death metal". There is very little additional information available about them. Bandpage on Dying Sun Records.